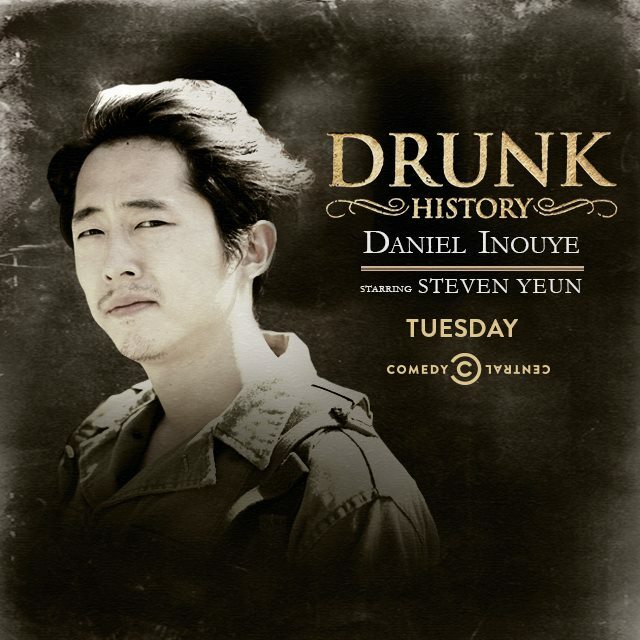 The blog title speaks for itself, but in case you weren’t reading: an upcoming episode of Comedy Central‘s “Drunk History” will tell the story of Senator Daniel Inouye, former Senator and Japanese American World War II veteran of the 442nd Infantry. That, alone, is just pure awesomeness. But then, add into the mix that Inouye is being played in the dramatic scenes by Steve Yeun, and with a guest appearance by James Hong. Epic. I don’t normally watch “Drunk History”, but you know I’ll be catching this episode. Video after the jump. Yo! I just caught this from Phil over at Angry Asian Man! Steve Yeun, who stars as Korean American Glenn Rhee on AMC’s hit show The Walking Dead, has just announced his next project: a movie adaptation of Kang Chol-Hwan’s The Aquariums of Pyongyang: Ten Years In the North Korean Gulag. 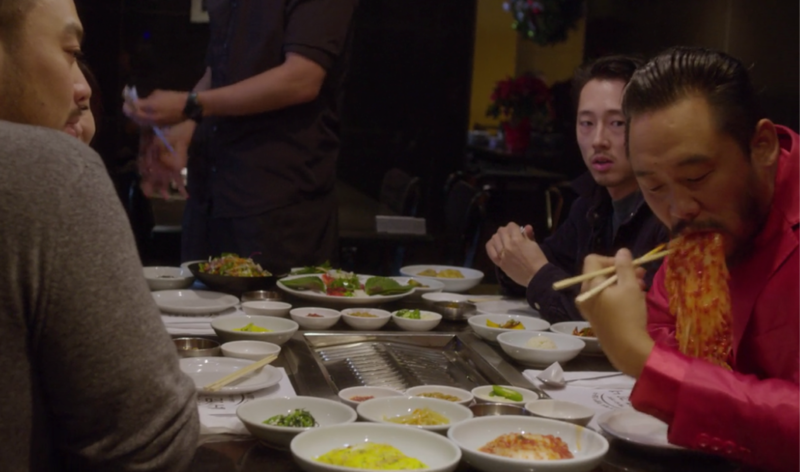 I’ve already described Steve Yeun’s Glenn Rhee as the best contemporary Asian American male portrayal in pop culture, and have been following Yeun’s career for years. He’s been staying busy in the off-season between shooting for The Walking Dead, and was recently announced as the voice of Tony Chu in the upcoming cartoon adaptation of Chew, a witty comic book that uniquely stars a Chinese American protagonist. I’m excited about Yeun’s involvement in Aquariums for two reasons. 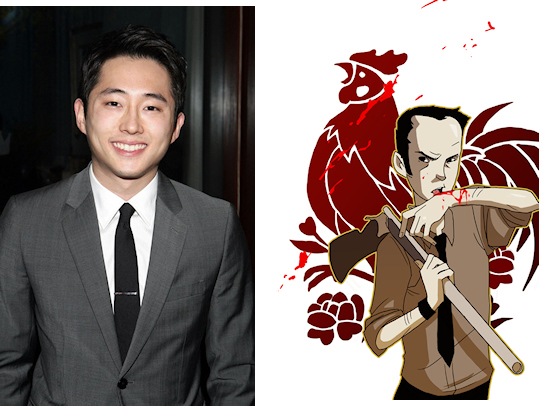 Steve Yeun to voice Tony Chu on animated adaptation of “Chew”! Steve Yeun, of Walking Dead fame, will voice the role of Tony Chu in the upcoming CHEW animated feature. I can’t help but be excited about this latest bit of news coming out of the efforts to produce a feature adaptation of the critically acclaimed Chew comic series. For those who don’t know, Chew is a quirky title created by John Layman and Rob Guillory. It follows the adventures of Chinese American protagonist (and US Food and Drug Administration agent) Tony Chu, who has the bizarre power of a cibopath: he receives a psychic imprint from any food he eats (except beets). Chu’s power is, understandably, both a blessing and a curse, and Chew explores how Chu uses his ability to solve crime in a universe that has since expanded its repertoire to introduce a broad range of food-related powers. The series is witty, sharp, self-effacing, and instantly memorable; it belongs on the shelves (or in the digital long boxes) of any comic book connoisseur. More so than many comics, Chew has succeeded not only in creating a uniquely likable hero in Tony Chu, but also a richly detailed world for Chu to inhabit. After much effort to create a live-action version of Chew — understandably hampered by the show’s routine use of cannabilism as a central plot device — producers have decided to go in a different direction and create an animated feature instead (that is expected to go straight to home release). This, I think, is a good decision: the show has a very specific tone and atypical humour that I think would not translate very well through a live-action script. 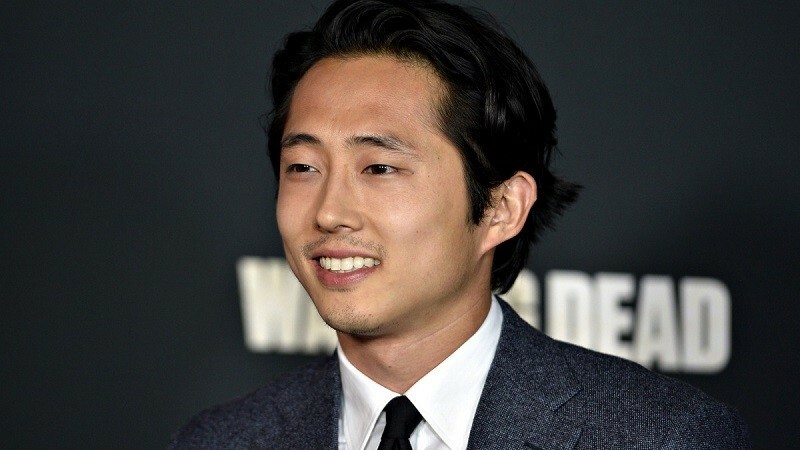 And, in what is a near-perfect casting choice, producers have tapped Steve Yeun, best-known for his incredible portrayal of The Walking Dead‘s Glenn Rhee, to voice the main character of Tony Chu. Posted on April 24, 2014 April 24, 2014 3 Comments on Steve Yeun to voice Tony Chu on animated adaptation of “Chew”!